At least 14 people were killed in the blast and nearly 50 others were injured. Eight people have been arrested in connection with the bombing of the St. Petersburg subway system which killed 13 people on April 3. Dozens of people were injured when an explosion ripped through the underground subway system in the Russia city in what authorities labelled a terrorist attack. On Tuesday, Russia's intelligence chief Alexander Bortnikov said six members of a terrorist cell had been arrested in St Petersburg. A further two people were arrested in Moscow. Bortnikov said all of those arrested were from former Soviet Central Asian republics and added that a large amount of weapons and ammunition was found in their homes, the Associated Press reported. In the days after the attack, the Russian Anti-Terrorism Committee released a statement in which they said Kyrgyz-born Russian citizen named Akbarzhon Dzhalilov was behind the suicide bombing in the subway train. They also said they believed he had left the second disarmed explosive device at Ploshchad Vosstaniya. "The investigation established the identity of the man who committed an explosion in the subway train car in Saint Petersburg. It was Akbarzhon Dzhalilov, born April 1, 1995. In addition, forensic experts found genetic traces of Jalilov on the bag left at the metro station Ploshad Vosstaniya, in which there was an explosive device," the statement said. "The conclusions of the genetic examination and the recording of the CCTV cameras give the investigators reason to believe that it was the person who committed the terrorist act in the car and who left the bag with the explosive device at the metro station Ploshchad Vosstaniya." Speaking in the hours after the attack, Andrei Kibitov, spokesman for the St. Petersburg governor, told Russian television that nearly 50 others were injured in the explosion, the Associated Press reported. 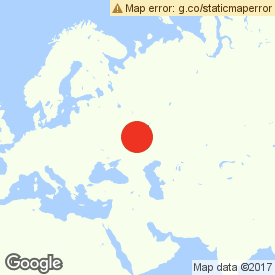 The explosion occurred around the Technological Institute and Sennaya Ploshchad stations at about 3 p.m., according to multiple reports by Russian state media. Later in the afternoon, the anti-terrorism committee said it had found and deactivated a second bomb that contained shrapnel at Vosstaniya Square station, another St. Petersburg subway stop, the AP reported. The UN Security Council also issued a statement condemning "in the strongest terms, the barbaric and cowardly terrorist attack" in St. Petersburg. Speaking shortly after the explosion, Russian President Vladimir Putin expressed condolences to the families of the victims and asked for patience as investigators looked into possible motivations for the attack. "I already spoke to the heads of first responders, with the director of the FSB [Russia's federal security service]. They are working and will do everything to find out the reasons why this happened and how it happened," he said. "The city leadership and, if needed, federal entities will do everything to provide support to the victims, our citizens. "Unfortunately, we are forced to begin our session with this tragic event. We don’t know the causes yet, it’s too soon to be talking about that," he added. "We always look at all possibilities, the mundane and the criminal, acts of terrorism. And investigation will provide us with answers." Putin was in St. Petersburg, his hometown, for a meeting Monday with Belarusian leader Alexander Lukashenko at the time of the explosion. US President Donald Trump called the explosion a "terrible, terrible thing." "Happening all over the world. Absolutely a terrible thing,” he told reporters at the White House. "The images of lives lost and people injured in St. Petersburg are heartbreaking," said US ambassador to the United Nations Nikki Haley, in a statement. "You can be sure the United States will stand with Russia on defeating these extremists who continue to senselessly harm innocent people." In a statement, the US Department of State also condemned the "reprehensible attack on passengers of the St. Petersburg metro system." "The victims for the terror attack in Saint Petersburg metro will get all the necessary help. The Ministry of Health and the Ministry of Emergency Situation were given instructions," he wrote. "My most sincere condolences to families and loved ones of the victims. It’s a shared pain." In a graphic video posted by an independent Russian-language media outlet that purportedly shows the immediate aftermath of the explosion, a man could be heard saying, “Give me your hand, give me your hand,” as he helped the passengers out. A child is screaming “mama” for the continuation of the video and a woman is repeating, “Oh my God.” Men are dragging bodies from the train, leaving a trail of blood. Lyudmila Vinnyk told TV channel Russia 24 that she was in one of the stations when the explosion occurred. "I was just making a change on that line where the emergency situation occurred. At this station all people were running," she said. "I smelled smoke, [there was] smoke, everyone were running fast to the escalator and towards the exit. A lot [of people], all running. All, of course, scared." Another witness, Alex, told RT he was entering a different metro station as the blast happened. "The alarm went off and the security guards blocked off the entrance and said to get away from the place," he said. The two stations, Technological Institute and Sennaya Ploshchad, are key stations in St. Petersburg's metro system. Both popular interchange stations are close to the city center and used by large numbers of commuters each day. Soon after the two stations were evacuated, the entire Russian metro system was closed for hours. Local taxi services were asked to put the maximum number of cars on the road and reduce rates. Federation Council security committee leader Viktor Ozerov told RIA News it would support new anti-terrorist measures in the wake of the blast. “If special services and law enforcement agencies, after an analysis, suggest legislative measures, the council is ready to implement them,” Ozerov said. “Only after this we will be able to say whether there will be an official reaction from the Council of the Federation," he said. In Moscow, Deputy Mayor Maxim Liksutov told the state-run Interfax news agency that Moscow authorities were also tightening security on the subway in the capital. The US Embassy in Russia has also since issued emergency advice to Americans in the country. Reporting by Victor Stepanov in Volgograd, Russia; Jane Lytvynenko in Toronto; Talal Ansari in New York City; and Francis Whittaker and Alicia Melville-Smith in London.